To get the greatest graphics performance out of the A8 chip, Apple created Metal - a technology that allows developers to design highly immersive console-style games. Metal is optimized to let the CPU and GPU work together to deliver detailed graphics and complex visual effects. So every imaginary world feels more realistic. 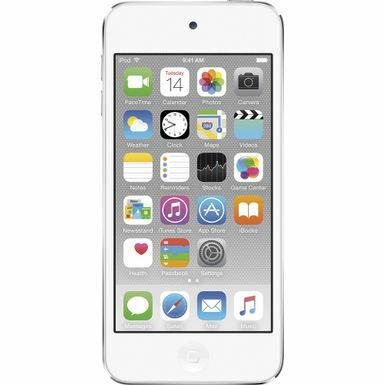 iPod touch features a 8-megapixel iSight camera and an improved FaceTime HD camera, so you can take some of the most stunning photos and videos you've ever captured. These cameras come with features like slo-mo and burst mode, as well as better noise reduction and improved face detection. And with iCloud Photo Library, you can easily access, edit, and share your photos on all your devices. When you're connected to a Wi-Fi network, you can make FaceTime calls, send messages, post photos, and download your favorite games and music. And with support for 802.11ac, you'll experience up to 3x faster Wi-Fi speeds than with 802.11n. 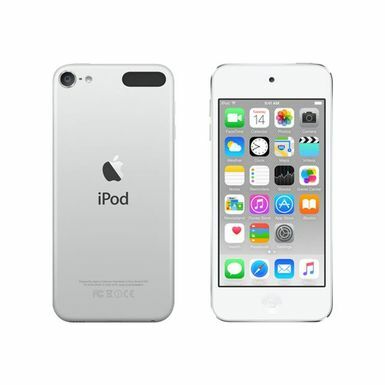 iPod touch also supports Bluetooth 4.1 technology, so you can connect a pair of headphones for listening to your favorite tunes or a game controller for racking up a new high score.